Ray and Priscilla are two of the sweetest people one can meet. 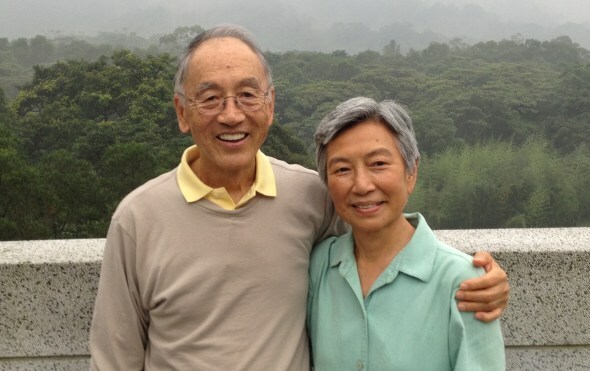 Originally from China, grew up in Taiwan and raised their two daughters in Texas. Both had illustrious careers, and later in their life, built up two successful companies. Neither were particularly spiritual, until they received a phone call from their elder daughter one day. "There's a ceremony happening in ten hours, and I need your permission to take part in it," she said. It was a ceremony to become a nun, and dedicate her life to serving others and purifying her mind. The whole thing unfolded because Ray himself had lightly taken his daughter to meet a Chinese teacher, Master Hsuan Hua, at a local event in Texas; he thought it'd be a good father-daughter thing to do. At the end of the event, Ray -- former Dean of two top ranked computer science departments, a professor at five universities, IEEE Centennial Medal laureate, author of twelve books -- told Master Hua that he didn't understand anything he spoke about. The Master kindly responded, "Keep listening long enough and it'll make sense." His daughter, however, resonated deeply and got a whole lot of his books. During the next vacation, while pursuing her PhD, she went to the visit the monastery in California, and in two weeks, she knew she wanted to become a nun. And hence, the phone call. It's been 22 years since, and their daughter is now known as Heng Yin Shr. Ray and Priscilla not only said yes to their daughter, but also to their own spiritual journey. One serendipity after another, they are now living at "City of Ten Thousand Buddhas". Indeed, they kept listening long enough and things have started to make sense to them. When I saw them last week, they had just finished a 23 day bowing retreat. 8 hours of bowing everyday for two people in their 70s. "It about polishing your rough edges. With practice, the mind starts to fall into an effortless state of being. It's very beautiful," Priscilla gently explained. Their life is entirely different now. "There are two set of 3 hour prayers everyday, and there's service. I remember getting my first job and I didn't repeat clothes for the first 30 days. And now, I just have two set of clothes. Life is simple," she added in a way that I felt it before I processed the words. For over a decade, they've loved the work of ServiceSpace, attended some of our local events, and blessed it with their goodwill. 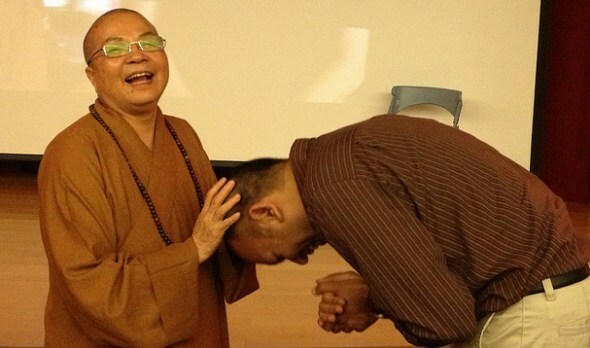 Sometime last year, we met with a couple of Taiwanese nuns from the Luminary Bhikkhuni Sangha. It was an energizing conversation, around how sticking to wholesome principles can yield unexpectedly joyous ripples. 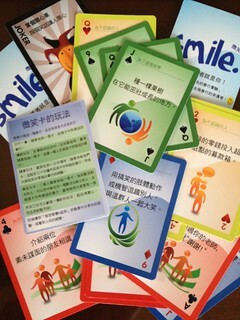 Soon after, the nuns printed 2000 Smile Decks in Chinese, and few months later, invited me to visit Taiwan for their first international conference on the link between personal and social transformation. For the last 34 years, their nunnery had been focused on inner work but now they felt the call to apply that to social transformation. An Invitation from monastics is hard to refuse, :) so I happily agreed. And last week, I visited Taiwan for the first time. What a joy it was! Transformation was a core theme. Marilyn Schlitz, president emeritus at IONS, shared, "Our research shows that transformative practices follow the path of intention, attention, repetition, guidance and acceptance." Randy moved everyone with his heartfelt journey of going from "someone who loved money" (former CEO of AT&T) to humble service "accompaniment" of elders as a volunteer for the last 18 years. Another core theme was trans-disciplinary approaches, where we shift from multi-discipline and inter-discipline to something that transcends boundaries -- what theoretical physicist from Paris Basarab Nicolescu calls 'Unos Mondus' (The World is One) mindset. Or as Robert Block summarized, "Everything is connected to everything." To end the conference, they inaugurated an award -- and I was happily surprised when Ven. Wu Yin invited me up on stage. More than fifty years ago, Ven. Wu Yin decided to become a nun -- at a time when that was extremely counter-culture in Taiwan. "I prayed to Guan-Yin Boddhisattva that I could become a nun, and my mother would pray that I would stay at home," she joked. "I used to tease my mom that Guan-Yin listened to me but actually both our prayers were answered." Ven. Wu Yin is an extremely simple and humble person, and in the sea of nuns, no one would think she is the founder. In the early years, there were times when conservative community leaders felt threatened and plotted to shut down their nunnery -- by harassing them. On one occasion, they started to take vulgar actions, play loud music, and light fire crackers as a way to encroach in their physical space; Ven. Wu Yin and a few other nuns meditated through it all, as she instructed them, "We have nothing to worry. This is not our monastery, so we don't need to protect it like our belongings. We are just instruments." They meditated fiercely, as some of the nuns lost their hearing permanently due to the violent antics of the community -- but today, that same nunnery is thriving amidst that same community. Powerful acts of giftivism. :) Across Taiwan, the 140 nuns are now running 7 monasteries. 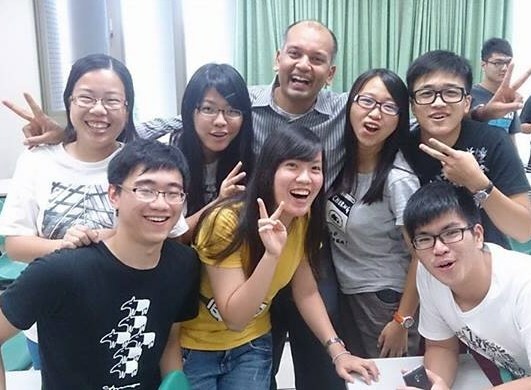 "In today's Taiwan, we're a small order without any fanfare. And that's because our master always focuses on going deep," Ven. Zizhou said after having been with the order for 30 years. When a college kid asked a "What should I do with my life?" question, Bob gave an excellently practical response: "Interview five people you admire, and one of them will probably give you a job by the end," while I gave a spiritual response. :) It was actually really fun, because while our responses were being translated, we'd ask each other, "Do you think that's going to make sense to them?" For many in the audience, it was affirming to see an American Jewish businessman speaking to an Indian Hindu generosity entrepreneur at a Buddhist monastery in Taiwan, talking about values we all shared. After almost three hours, I concluded by saying: "We may look different, we may have had different experiences, we may think differently, but that's all on the surface. As you can see, underneath that, we love each other." It was true. We genuinely hugged. Along the way, I met a college kid in a hotel lobby (Chin-Pang), who immediately became a brother and told me about the one of the things young locals love: Mango Shaved Ice! I told him I would totally love to try it sometime. Lo an behold, he ended up coming to the dialogue with Bob and he was going to take me on his scooter. In the post-talk love fest, though, a bunch of the organizers, nuns and pianist Gwhyneth Chen (who represented Taiwan at the Olympic games) all piled on. So off we went to a street-side joint. 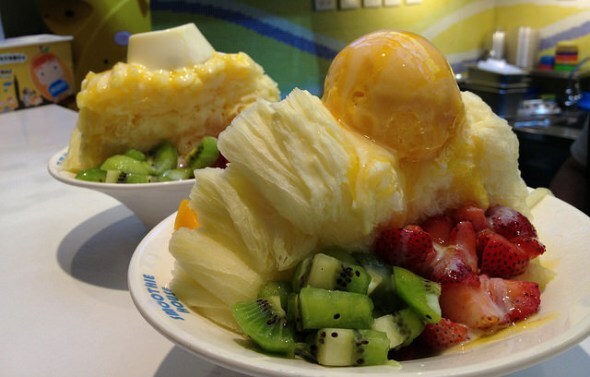 The mountain you see above is actually shaved ice, alongside fruits and a dollop of Mango ice-cream made of Tofu. Amazing. I've never had anything like it. I hadn't been able to spend a single dime on this whole trip, and I had just received a ceremonious monetary offering in the previous hour, so I insisted on paying for everyone -- and to add to the fun, I conspired with Chin-Pang and Gwhyneth to pay for the people behind us. They were nervous but having had some experience, I coached 'em a bit, as they prepped their Mandarin version of "paying it forward". The girl behind the counter seemed stressed and was just barely getting her work done, and Gwhyneth remarked, "I'm not good at connecting with strangers." Then, it happened. Right as Gwhyneth explained it, the girl behind the counter cracked a huge smile. All of us smiled big too. Our group of eight got our shaved ice, and went to our table. Soon enough, we could see -- and feel -- the smiles, glee and micro transformations. Somehow the instruction to be anonymous must've been lost in translation, :) since random people kept coming up to our table to share their elated thanks. It was magic. In perhaps the cutest moment, the two staff came up to me just to shake my hand. I enveloped them in a big hug. We didn't speak a word but love really is a universal language. Ultimately, after five days, I headed back to the airport. I would repeatedly joke with them, "My mother taught me to always give to monastics, but here I am constantly receiving from all of you. I'm going to be in serious karmic debt." :) Of course, that wouldn't stop them. Two of the elder nuns came to drop me off all the way inside till the airport security gates. "We feel like you are our dhamma brother," Ven. Zizhou said in her accented English. That's exactly how I felt too. As I walked off, waving goodbye, I pondered in gratitude at the improbable odds that we would all meet, connect, spread smiles in this way -- in Taiwan. Bob, at one point, eloquently said, "In a melting pot, we come in differently but come out the same. What I see is a mosiac. We are all different but together, the connected pieces create a masterpiece." Indeed, as generosity connects us, our diversity makes art.